Following is a more detailed response. Surely you know the feeling. You’ve got more to do than you’ve got time to do it in. The feeling of being in a rush to get something done, or to get somewhere, is not a pleasant one. It’s the feeling of anxiety. You might be tense in the neck and shoulders. Your teeth might even be clenched. If you’re rushed often, you might even develop a stomach ache. Of course, one solution to feeling rushed is to simplify your life so that you have more time to do each thing. It is certainly worth the effort to take some time to clarify what’s truly important in your life and eliminate as many activities as possible that don’t add value for you and for others. However, for most us, it is unrealistic to think that we could arrange our lives in such a way that we would never feel rushed. Fortunately, there is a simple, quick cure for the anxiety that arises during the times when we can’t avoid having too much to do in too little time. Following are the three steps to this cure. Research conducted by Matthew Lieberman at UCLA shows that when we name an emotion we actually diminish activity the amygdala and other parts of the limbic system, which is the part of the brain thought to be largely responsible for feelings of anxiety and other stress-related emotions. The moment you note “feeling rushed” with your inner voice, you’ll notice that you are no longer caught in your thinking. You can actually be aware of it and observe it as though you’re listening to another person talking inside your head. This freedom from the control of thinking is what provides the greatest relief. It is the anxious self-talk that fuels the feeling of anxiety. The more we think “I’ve got this done but I don’t have enough time,” the more anxious we become. In order to remain free of the control of anxious thinking, it can be very helpful to be intentional in two ways. First, make the intentional effort to practice mindfulness of the physical sensations associated with the activity you’re engaged in. If you’re typing an email, for instance, notice what the sensation of your fingers touching the keys is actually like. If you’re walking, notice the sensations of your feet touching the ground and the breeze on your face. If you’re aware of the physical sensations you’re experiencing, you can’t be completely caught in your thinking. Second, be intentional about moving quickly. Make a game out of it. See how quickly you can move without sacrificing quality or safety. Again, the source of the emotion of anxiety is anxious thinking. If you’re thinking, “I have to move too quickly because I’ve got to get this done,” you’re almost certainly going to feel anxious. Conversely, if you’re moving quickly because you want to, and you’re very intentional about the movements of the muscles needed to accomplish your task, you’ll notice that anxiety drops away. Take running, for example. If you’re running because you have to — to avoid a threat or because you’re late — you’re very likely to feel anxious. However, if you’re running as part of a game or because you’re intentionally running for exercise, anxiety doesn’t arise. Rather, running is actually fun. With practice, you’ll eventually be able to combine all three of these steps into one practice. You can control your thinking — instead of it controlling you — by mentally noting your emotions and thoughts, while being very intentional about moving quickly and noticing what sensations you’re experiencing. When you do this, you might find that you catch yourself actually enjoying moving quickly. You might even smile. If not, feel free to make smiling part of this practice. It’s hard to smile and feel anxious at the same time. If you give this a try, please feel free to leave questions / comments below. 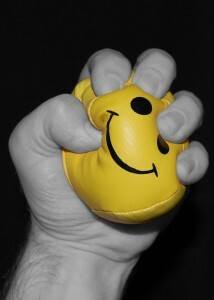 Helpful additional practice that can be applied during busy stressful times at work,. 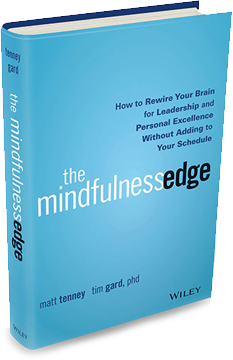 Easy steps to follow, and incorporate whole practice of mindfulness into daily activities. Thanks Helena! I’m so glad you found this useful!